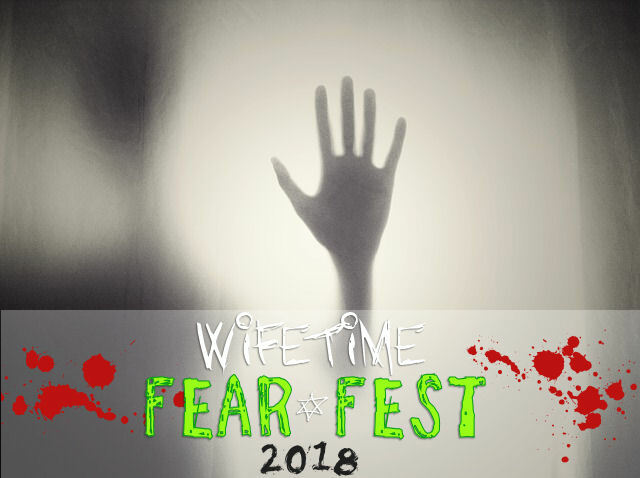 This entry was posted in Halloween, Movies and tagged 80s halloween movies, b rated halloween, b rated halloween movies, campy halloween, campy halloween movies, cheesy horror films, classic horror, Comedy horror, fear fest, fear fest 2018, fear fest playlist, fun halloween movies, fun horror movies, halloween movie playlist, halloween movies, horror classics, horror fun, horror movies for a sleepover, horror movies from the 80s, horror sleepover movies, movies to watch at a sleepover, movies to watch in october, october movie list, october movie playlist, playlist for halloween, PR Friendly Blogger, sleepover movies, what movies should I watch for Fall, what movies should I watch for Halloween. 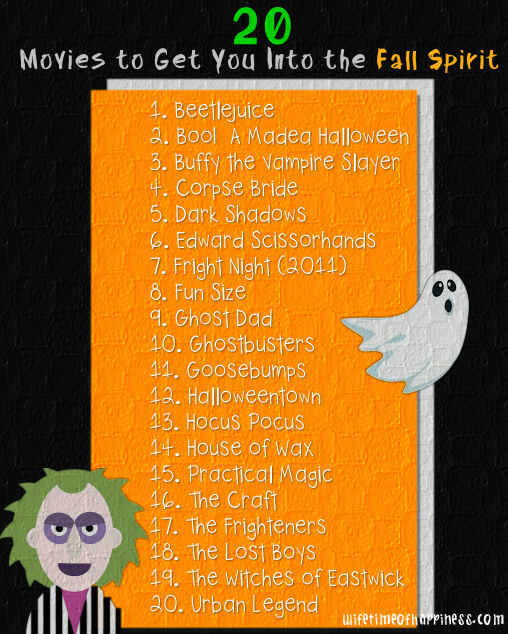 Have a little fun with this pinnable Halloween Movie Playlist! 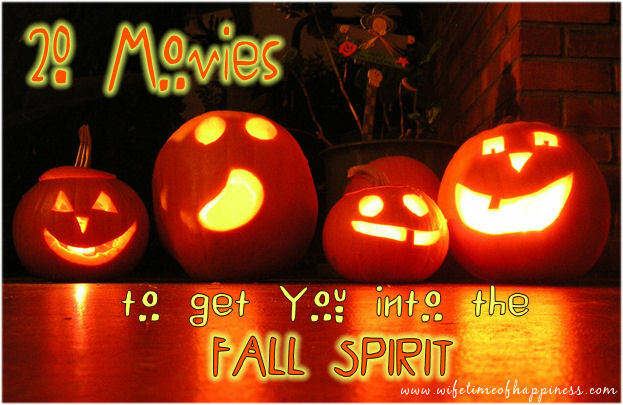 This entry was posted in Halloween, Movies and tagged fall movies, fun fall movies, fun halloween movies, good halloween movies, halloween movie playlist, halloween movies, halloween movies for kids, movie playlist, movie suggestions for fall, movies to watch in october, movies to watch on halloween, occtober movies, unique suggestions for movies, what to watch on halloween. 20 Movies to Get You Into the Fall Spirit! This entry was posted in Halloween, Movies and tagged buy halloween movies, fall movie list, fall movie suggestions, family friendly halloween, family halloween movies, fun movies to watch for fall, fun movies to watch for halloween, good halloween movies, halloween movie list, halloween movie suggestions, halloween movies, halloween movies for the family, halloween movies that arent scary. halloween fun movies, movies to watch this halloween, what movie should I watch, what should I watch.